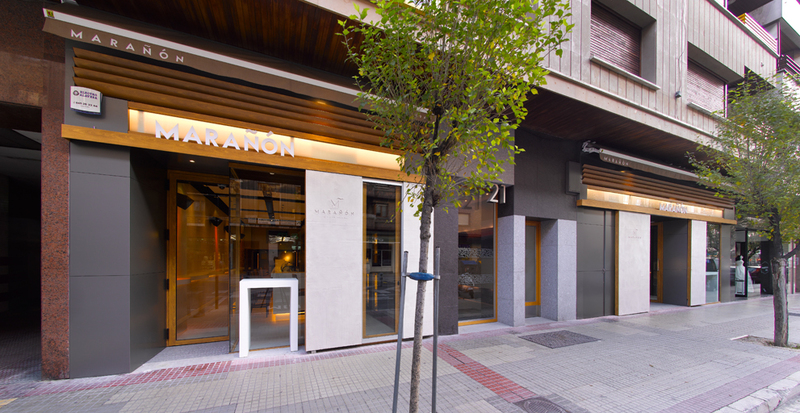 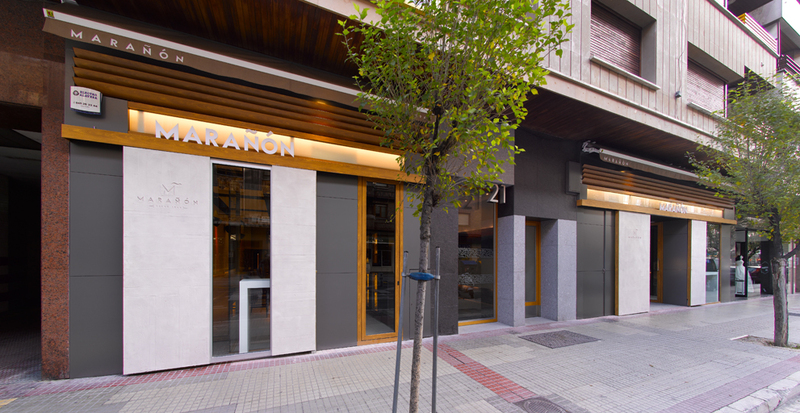 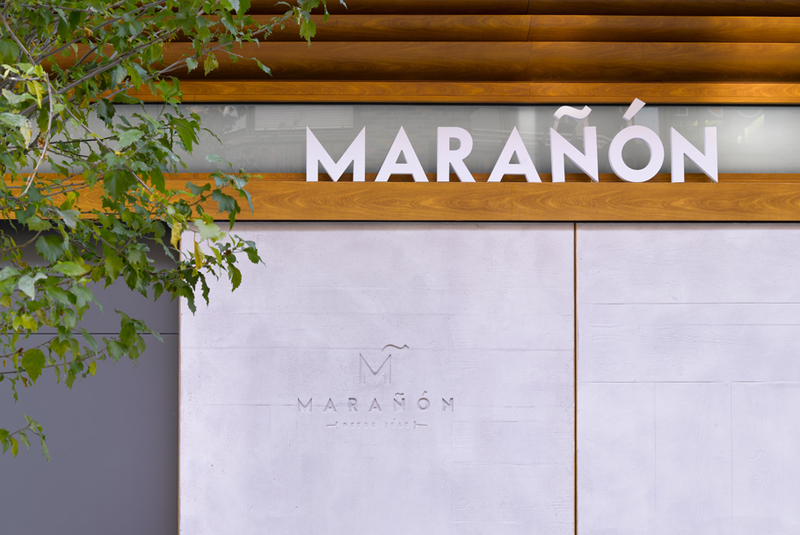 The extension of a bar located in the centre of the Spanish city of Vitoria has turned into the new Pub-RestauranteMarañón. 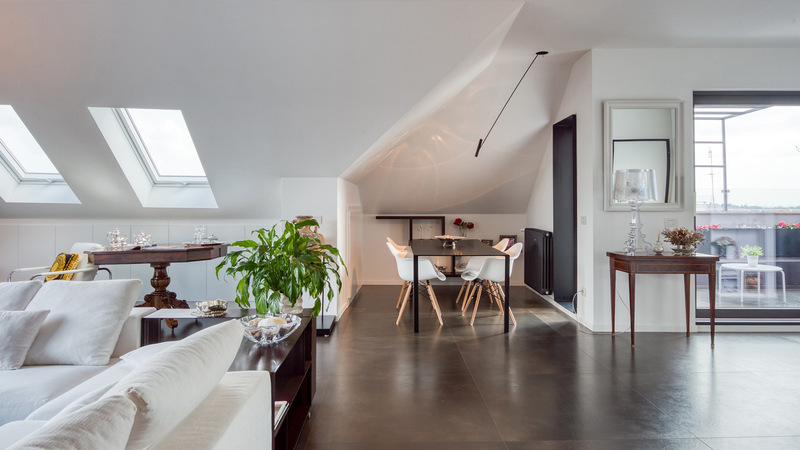 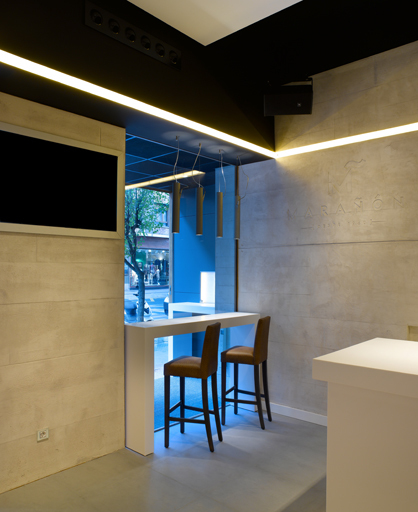 This work by interior designer Silvia Blázquez was among the finalist projects of the 7th Porcelanosa Architecture and Design Awards.The aim of the project was to extend the surface of the existing space, combining it with the adjoining unit to change the company’s activity, giving the new pub-restaurant a unique, modern style. 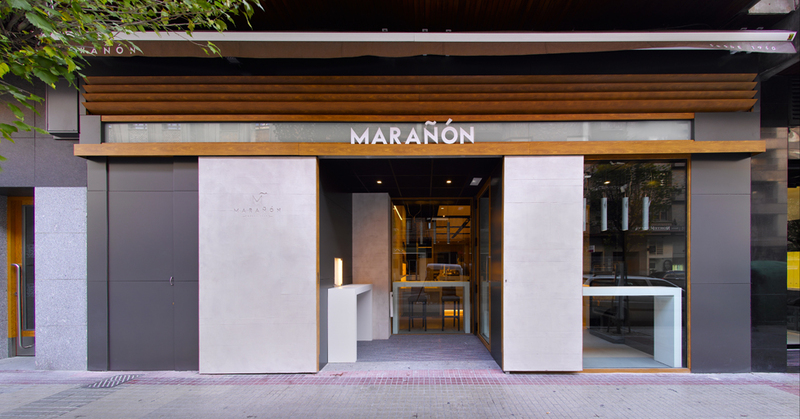 To achieve this, the owners required the use of durable, hard wearing materials which were also environmentally friendly, while trying to maximise the energy efficiency of the premises.Following these concepts, Silvia Blázquez used Krion® in its Stone and Lux versions in different ways, making it the unifying link between the different spaces. 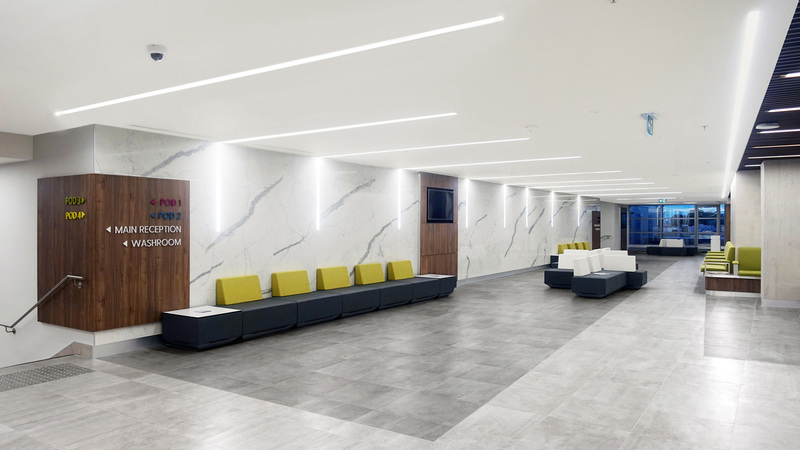 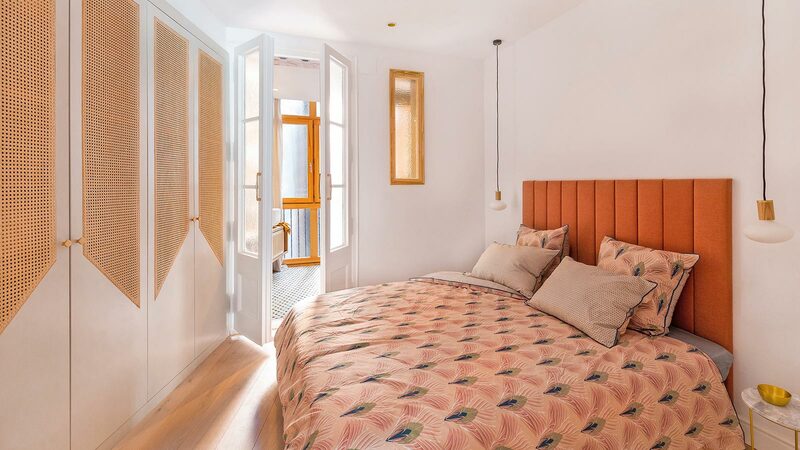 To achieve the innovative aesthetic present in the whole space, the designer installed the solid surface by PORCELANOSA Group as a backlit covering on the walls.The decorator paid special attention to lighting, key to the building’s function. 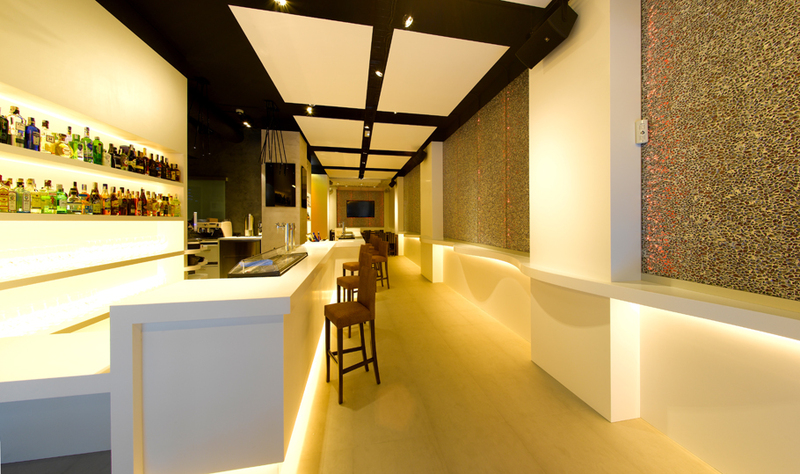 In this sense, she opted for the integration of LED profiles which change colour to achieve different atmospheres, depending on the time of day or the use desired for the space at each moment, being able to use the same effect in the whole building at the same time.We also find the compact mineral by PORCELANOSA Group in the creation of some pieces of furniture, among them the toilets, which also use the same material which was used to shape sculptures which decorate the building, made with moulds to obtain a single piece without joins.Don’t miss the complete album on Flickr about this project, checkit out following this link.